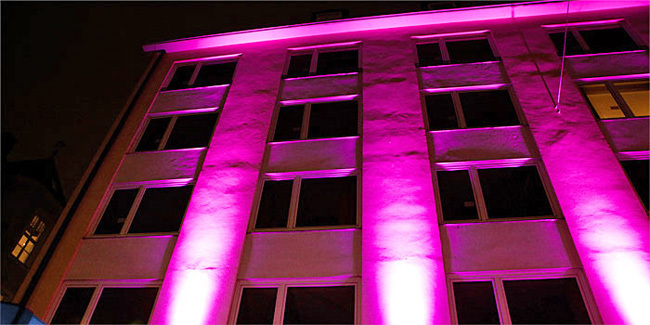 Downtown Munich – Mozartstraße – here you will find the SMART STAY HOSTEL MUNICH CITY. It is located not only in one of Munichs favourite central districts, it is also only a stone’s throw away from the “Wiesn” Singer109 and as there is no other hostel nearer to the Theresienwiese, the Smart Stay Munich City deserves a very exclusive second name: “Oktoberfest-Hostel” – at least for two weeks a year :-). I was a bit worried when I paid my visit to the Smart Stay because our appointment was only three days after the Oktoberfest 2013 shut down. Would they have survived this incredible mass rush that lasted two very long weeks? Well, my worries turned out to be completely unnecessary. As their name indicates, the hostel team is very smart and relaxed and used to this “same procedure as every year”. In fact, while I was talking to Rodrigo Braun (left) at the Rezeption, there were two calls concerning a reservation for the Oktoberfest 2014. Unbelievable (to me)! By the way, it was great to listen to Rodrigo Braun talking to his guests in fluent German or English or Spanish or Italian … WOW! He speaks more than 5 languages fluently and I learned that this is almost standard within the multi-lingual Smart-Stay-Team. Well, “standard” to me is something else – this is outstanding – chapeau! But it is not only the various languages that make Rodrigo Braun very smart. He does two full time jobs at the same time – working at Park the hostel and studying at the University of Hagen. In a few months he will graduate in Tourism Management. Well done, Chapeau again! One last time back to the wholesale jerseys Oktoberfest, because I would like to introduce Emre Aria (right) to you. 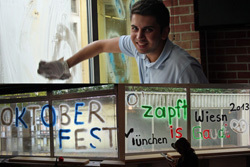 He is just washing the final traces of the Special Bavarian Festival off the hostel windows. By the way, Emre is one of the “Azubis” at the Smart Stay Hostel and he does his last year of the three-year-training in Hotel Management. He is thinking about leaving Munich afterwards, but probably without changing the employer. 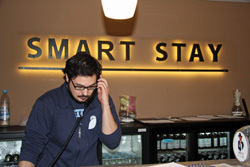 These days, the first Smart Stay Hostel in Berlin opens its doors – which means to Emre that he could swop and stay smart :-)! 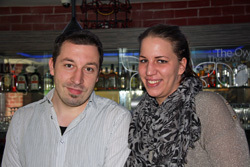 Here we have two Smart Stay Hostelliers who are not thinking about leaving Munich: Martin Gomille and Anna Kolak, both Assistant Manager at the Smart Stay. They have wholesale mlb jerseys been working for the hostel for about three years now and both feel extremely well in Munich. 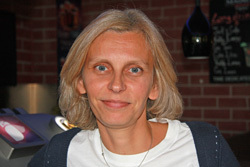 Anna Kolak was even born in Munich, a true a “Münchner Kindl” with Croatian parents who ensured a bilingual education. It goes without saying that she speaks perfect English wholesale nba jerseys and other languages as well, not even to mention “Bavarian” ;-). Martin Gomille on the other hand grew up in Eastern wholesale nba jerseys Germany, in Zittau near Leipzig. Zittau is a beautiful small town – although too small for Martin Gomille – in the very east of Saxony, in the triangle Germany, Czech Republic and Poland. Again, lots of additional foreign languages. 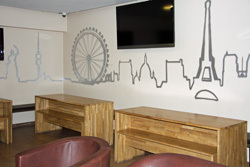 They truly welcome the whole world here at Massage the Smart Stay Hostel Munich City! While I was having my look round the Smart Stay Hostel Munich City, I had the pleasure to meet another Esfor?o true “Münchner Kindl”, Mirjana Scholz (right). In all four Smart Stay Ho(s)tels (3 in Munich, 1 in Berlin) she is responsible for PR and marketing. The communication scientist and mother of two loves doing yoga and feels very well in her hometown. Munich and the near Alps, she says, are simply ideal and even basic condition for her favourite hobby: hiking. And speaking of hobbies: there is another very interesting employee at the hostel, it is Helmut, the “Hausmeister” (maintenance supervisor). Unfortunately, I did not meet him personally. 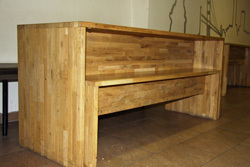 Imagine, in his spare time, Helmut likes making furniture and he produced all of the about 120 tables and matching benches (see left) of the hostel himself – what an excellent performance and talent, well done. Helmut, I envy you! Last but not least I would like to introduce one more Azubi (trainee) in her third year: soon-to-be-Hotelfachfrau Jennifer Wachsmuth, known as “Smart Jenny” ;-). She loves travelling and going out with her friends here in Munich. Unfortunately, we failed to take more than a picture from the back of her. 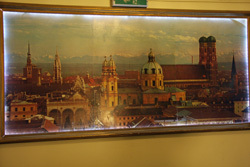 So, if you want to “see” her properly, you have just one more reason to visit the Smart Stay Hostel Munich City :-). Some more questions? Stay smart as well!